Mo Sheldon has a vision – and it’s high above the earth. Although he declares himself afraid of heights, Mo is one of two certified flight instructors in Arizona who teaches powered paragliding. He has always wanted to fly like a bird and, since 1998, he’s had his wish. Like the ancient-fabled Greek, Icarus, who flew too near to the sun and whose wings melted, since early man, many people have wished to fly. 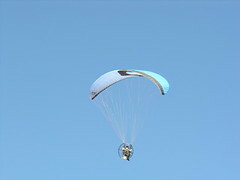 Mo makes people’s wishes come true with his company, Airparamo. When I was given a choice of anywhere to travel within eight hours of my central Arizona home, I immediately, without hesitation, chose Bryce Canyon National Park as my destination. Why? See the photo – and you’ll start to understand. Last week, I came across a Web site that focuses on multi-stop itineraries for independent travelers. European Destinations www.europeandestinations.com lets you create your own trip or customize their suggested itineraries. As you add in hotels, car rentals, train passes, etc., the price of your trip upgrades so you know immediately what your costs are. I tweaked my itinerary and then compared it to the hotel Web sites of those properties I selected as well as with www.hotels.com to see if the prices were in line, or even better. 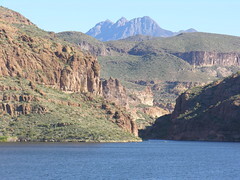 Following the Apache Trail in Arizona, you can just imagine what it might have been like in the days of the gold rush. Horses and stagecoaches traveled the rough mountains and winding paths back in the 1800s to reach Globe from Phoenix. The romantic imagery of the old west is palpable! Sometimes, travel is not at all what you had hoped to experience. Despite best intentions and great facilities, a stay becomes memorable for the wrong reason. I can give several examples of travel that should have been great, but wound up being anything but. Adventures in Speed: Zero to 80 in Six Seconds! Since last week, I have decided to cut back our trip from three to two weeks due to some timing issues that have come up. So, there needed to be some consolidation.